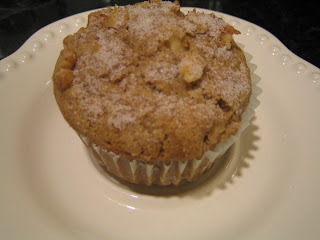 I found a recipe for Vanilla-Pear Muffins in the cookbook and thought they sounded AMAZING. 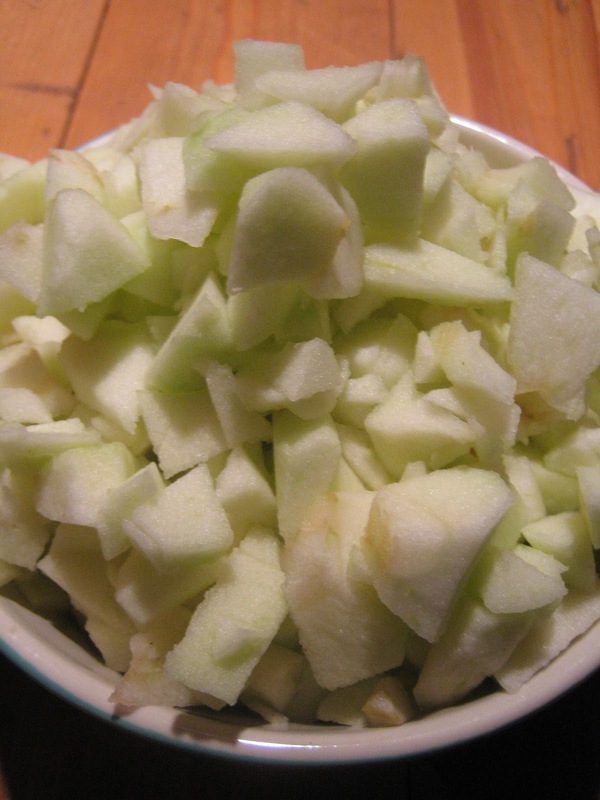 I didn't have any pears but had a bagful of apples. 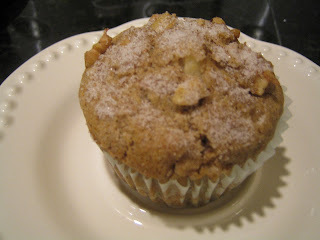 Since I didn't feel like going to the store, I just substituted apples for pears and the muffins turned out delightful! Preheat the oven to 350 degrees. Grease a large 6 cup muffin pan or regular 12 cup muffin pan. (I also made mini muffins, but unless you chop your apples into very small pieces, the mini muffins don't turn out as well as the regular sized muffins.) 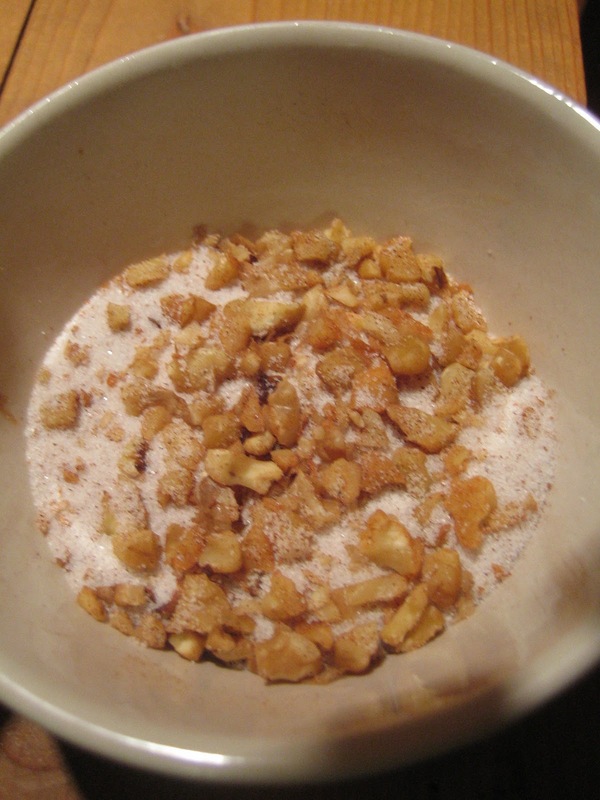 To make the topping, combine the sugar, walnuts, and cinnamon in a small bowl. Set aside. 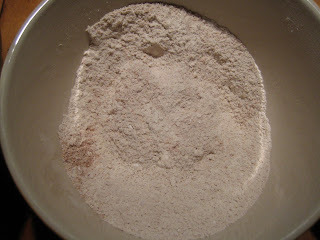 To make the muffins, stir together the flour, sugar, cinnamon, nutmeg, baking powder, baking soda, and salt in a bowl. In another bowl, whisk together the eggs, oil, buttermilk, and vanilla until blended. Add the dry ingredients to the wet ingredients, stirring just until evenly moistened. The batter will be slightly lumpy. Using a large silicone spatula, gently fold in the apples and walnuts just until evenly distributed, no more than a few strokes. Take care not to break up the fruit or over mix. 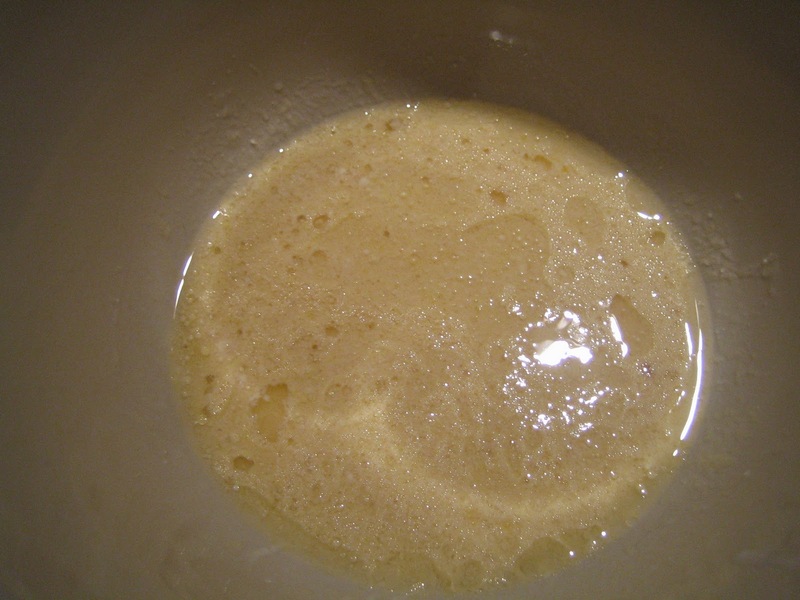 Spoon the batter into the prepared muffin cups, filling them level with the rim. Sprinkle the muffins with the topping, dividing it evenly. Bake until golden, dry, and springy to the touch, 20-25 minutes. A toothpick inserted into the center of a muffin should come out clean. Transfer the pan to a wire rack and let cool for 5 minutes. Turn out the muffins. 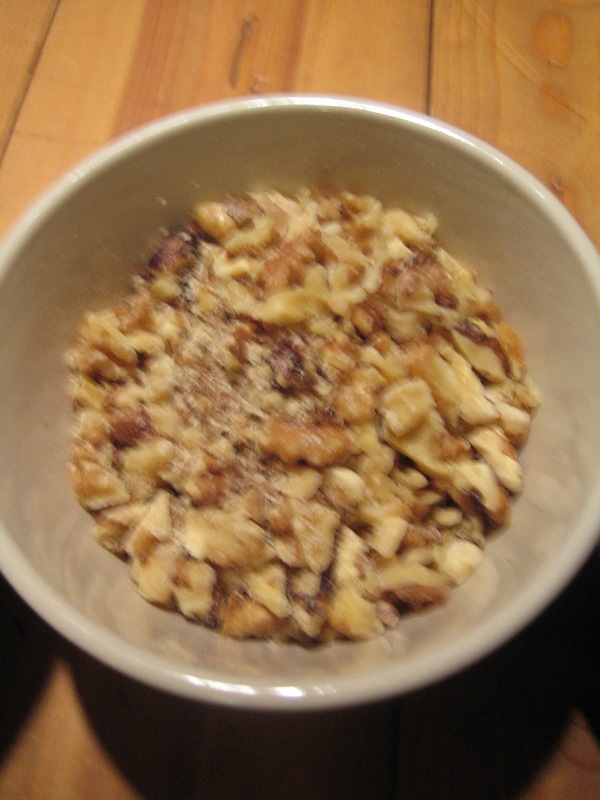 Serve warm or at room temperature, with butter!